Art Basel 2016 was the first project we ever created for Hotel Faena that lead to our long lasting relationship. Art Basel is a an international contemporary art fair that provides three world-leading shows in Basel, Hong Kong and Miami to connect collectors, galleries, and artists, and is a driving force in supporting the role galleries play in nurturing the careers of artists. 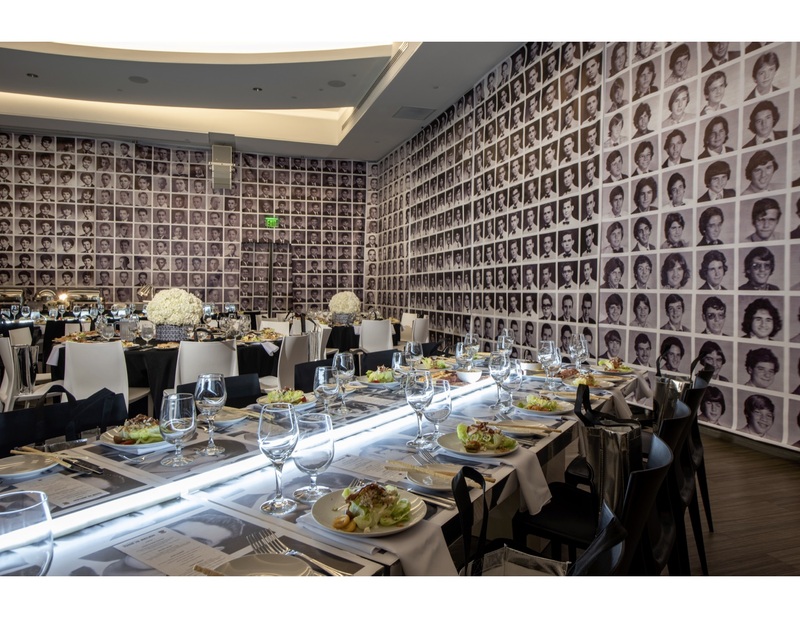 The event was designed to be an extension to the Faena’s award winning restaurant, Pao. The restaurant would be open every night that week until 1 am therefore, we wanted to create a lounge/street market vibe for guest to come, eat and chill while Djs played. Faena is a luxury destination hotel located in Miami, Florida and was currently awarded the #1 hotel in Miami and #5 overall in the United States! 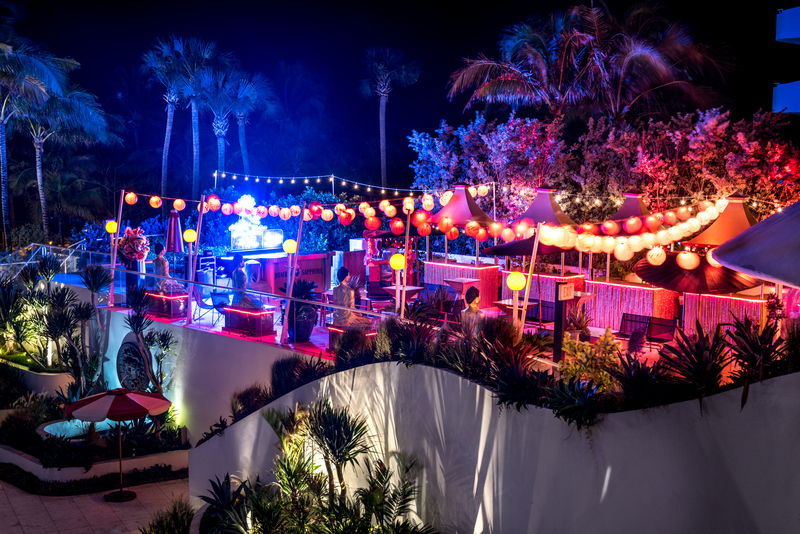 From their “signature candy cane-striped umbrellas and plush chaise lounges at Faena Beach to their private poolside cabanas, you’re bound to find your place in the sun or shade.” - Faena Miami Hotel. 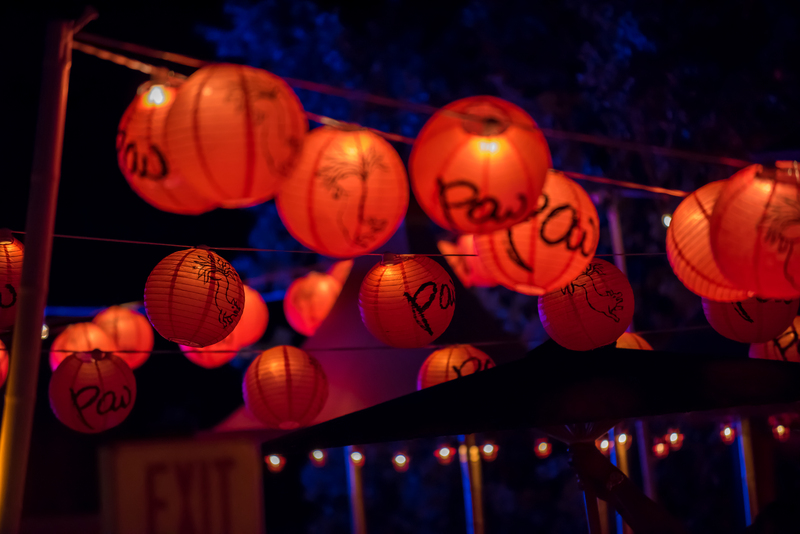 The inspiration for the event was a cinematic version of an Asian street market. Faena has a very unique style so everything we did needed to still incorporate the Faena style and ambiance. We primarily used the color red and then brought in gold accents and pieces to compliment. For the restaurant we produced the whole set! 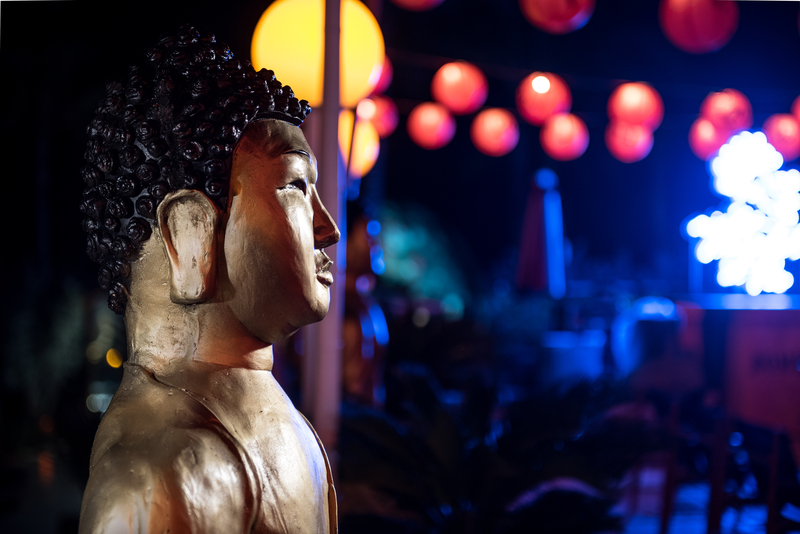 The Buddhas were hand sculpted, then molded so it was easier to duplicate and place multiples throughout the venue. 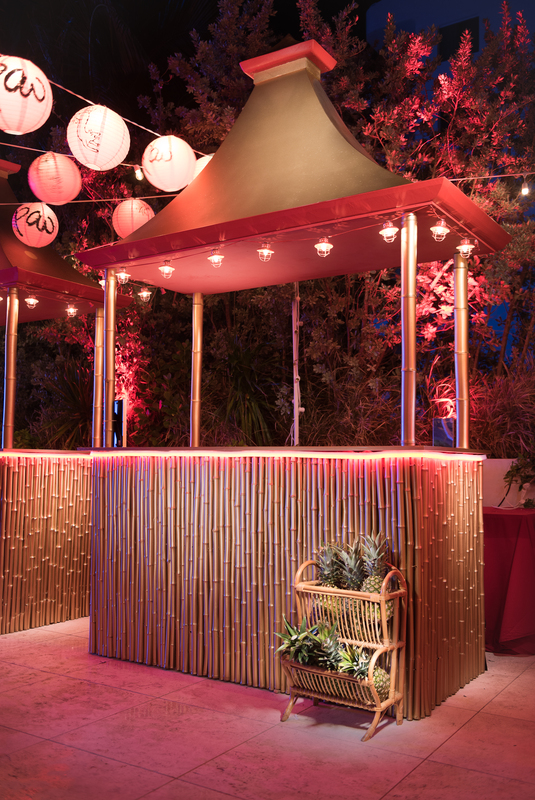 The huts were all custom made with authentic bamboo siding and to add a pop of color we included red neon trim. We custom made the brass bar along with the neon sign behind it that read, “Night Market at Pao”. We even custom made a roof for the bike that was placed at the entrance. 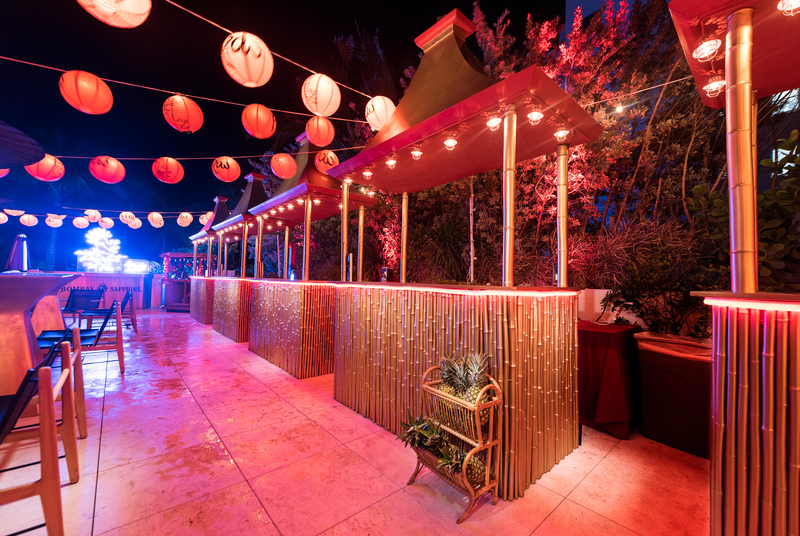 This definitely was a large project but it turned out amazing and we are so proud and honored to work with Hotel Faena. 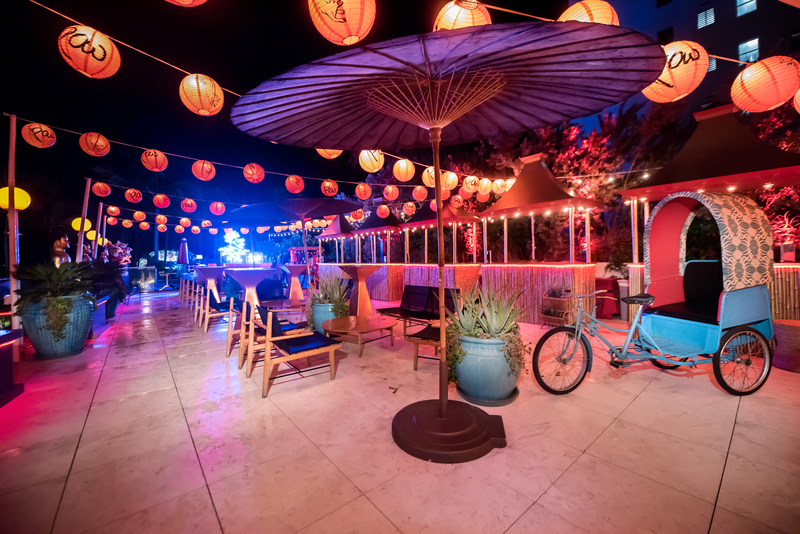 The best part was simply feeling like we succeed at incorporating the Asian market feel in combination with the hotel’s vibe with only a two week time limit to fabricate everything, so it was a bit of a time crunch! Creating the event in such a short amount of time was not the only challenge we faced; we also were creating many of the pieces for the first time. Many of the pieces that were new to us included: the curved edges on the roofs, the extreme amount of neon, and the hand sculpting of the Buddhas. 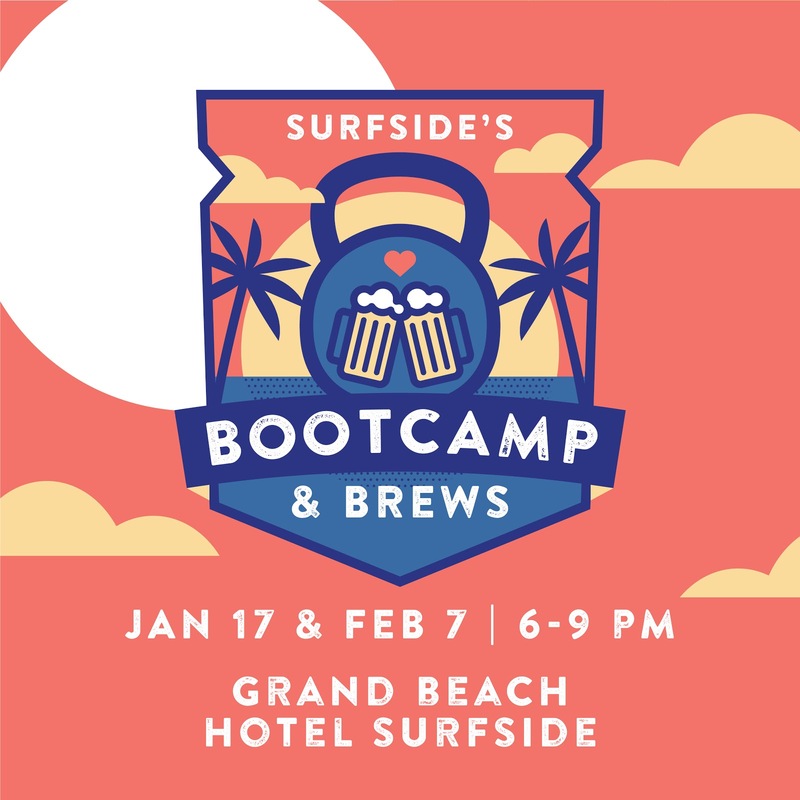 We felt extremely proud of how everything turned out considering it to be our first time with the thought that many things could have gone awry but it all came together amazingly and without having to make any compromises.